Author Randy Clemens and Food GPS’s Josh Lurie will put on a spicy show later this month. 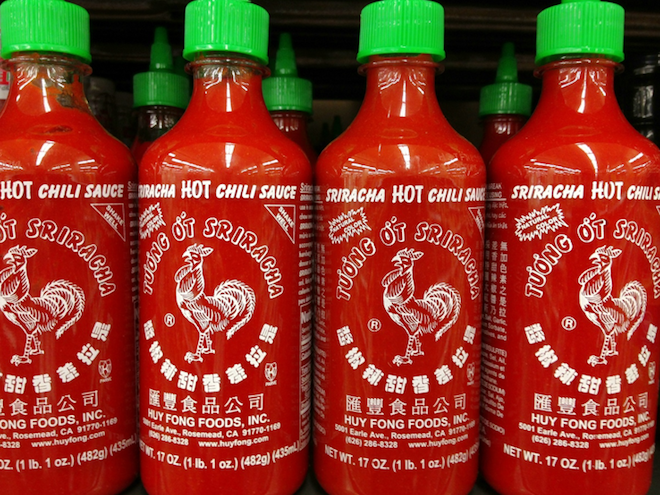 What: Two words: Sriracha Festival. It’s happening this month, downtown at Lot 613. You need to go because, duh, rooster sauce. And nearly a dozen chefs will be making dishes inspired by and using the condiment everyone loves. We’re sweetening the deal because you read LAMag.com. Only you get a chance to win the only two free VIP passes organizers are giving away in advance of the event. ➋ Save the date and wait, patiently, for us to announce the winner on Friday, October 18. When: Sunday, October 27 from 3 p.m. until 6 p.m.
Where: LOT 613, 613 Imperial St., Arts District. How: Tickets are $49 each for general admission. VIP tickets are going for $80. Joelle won two VIP passes to the Sriracha Fest, to be held next Sunday, October 27. Thanks to everyone for playing! Follow @lamagfood for more ticket giveaways, plus all the L.A.-related food news that’s fit to print.